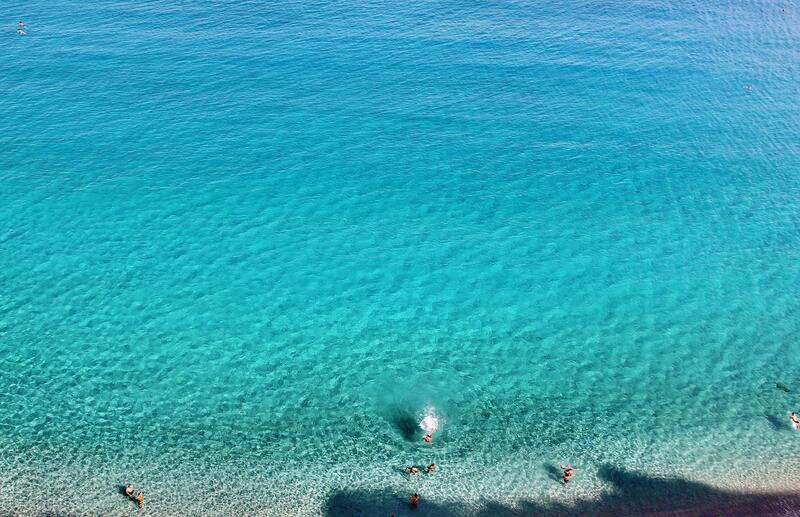 Being located in the heart of the Coast of Gods you kind of expect a lot from Tropea. My wife Maria, from Northern Italy, was mostly expecting to be disappointed. Well, she wasn't... more like stunned. Stunned that such a gorgeous little town of such beauty hasn't been overrun by tourists and still retains all its charm and beauty. Wandering down cobbled lanes, just to see where they lead, is something I love doing; sometimes you'll stumble upon a tiny trattoria of four or five tables tucked away in little more than a hole in an ancient wall. Sometimes you'll meet a clutter of cats discussing the best fishing spots or the town's mice. Best of all is when you come upon a piazza filled with life; the aroma of pasta baking in ovens perfumes the air and you catch a glimpse of the sea sparkling bright in the distance. 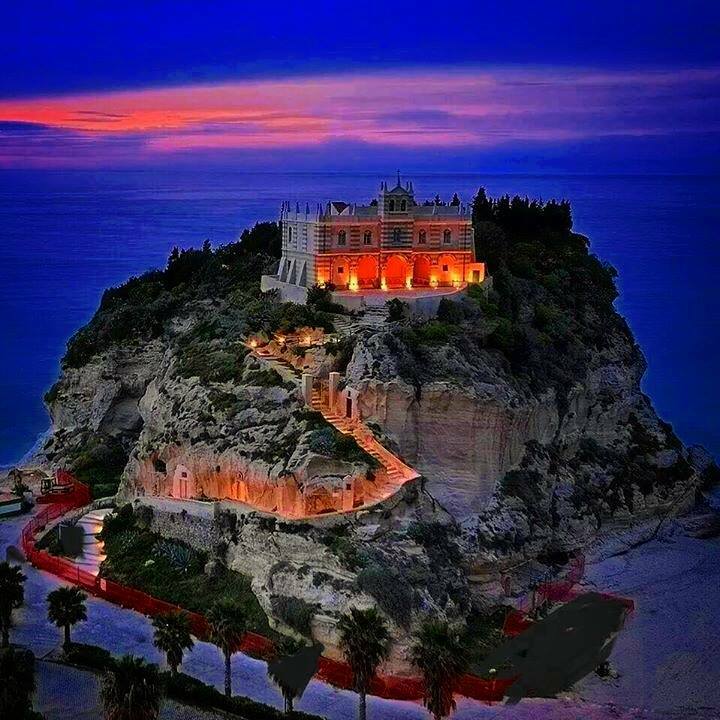 Tropea is a great place to take a boat trip out to the Aeolian Islands, a UNESCO World Heritage Site. The combination of volcanic islands languidly exhaling smoke rings into skies of brilliant blue above seas of sparkling turquoise is something you'll not easily forget. 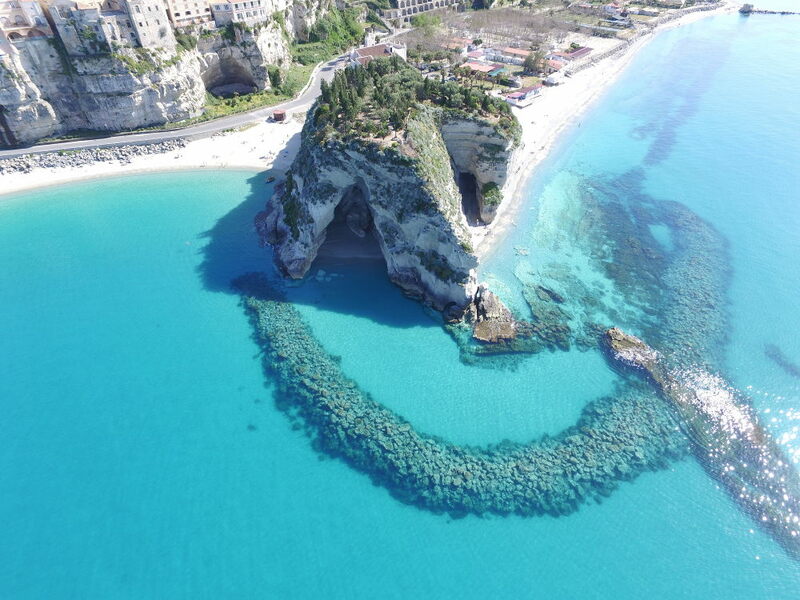 You can organize trips in Tropea. The beach is lovely, a huge expanse of golden sand. In front of you is a gently lapping sea of baby blue, while behind cliffs rise sheer from the sand and then turn into houses. Kind of hard to explain but the photo shows what I mean. 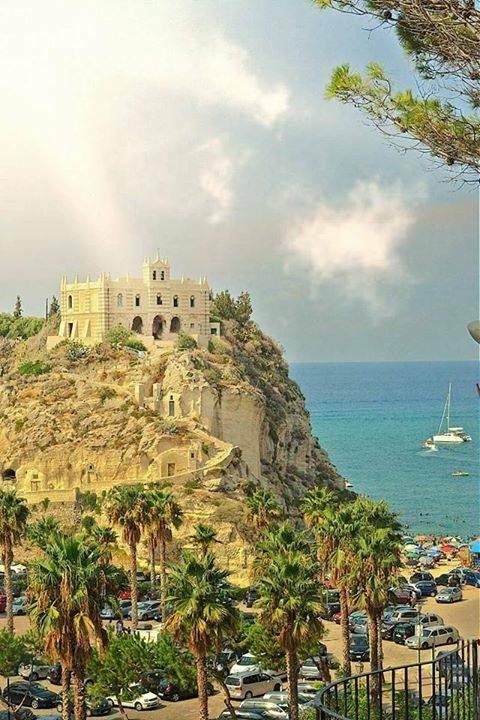 Santa Maria dell'Isola is an ancient monastery dating back to the 4th century and beautifully restored. It seems like something from a fairy tale; an enchanted lane leads a winding route up the island's cliff-sides that rise sheer from the sea. The fragrance of the island's wild Mediterranean herbs fills the air, mixed with the scent of the sea - a heady experience. At night it is all lit up with golden lights and a more romantic spot you'll struggle to find. Even the most jaded of souls will find their spirits soar at the sight. Tropea is famous throughout Italy as having the best red onions on earth. Ask any Italian where the best red onions come from and the answer will always be... Tropea. They love them so much that they make a LOT of dishes using red onions: spaghetti, soups, salads and... gelato! Yes, you read right - gelato. It isn't nearly as bad as it sounds - pop into Tonino's in Corso Vittoria Emmanuele (the main road where everyone does their passeggiata) and give it try. If you like it have their black squid ink gelato the next time :-) Tell me what it's like - I didn't have the courage to try it. Superb value, and right in the heart of the old town, is B&B Residenza Cardinale. For something more luxurious try the lovely Hotel Rocca Della Sena, which is but a flight of private steps away from the beach and boasts stunning sea view. Try to get one of the rooms with a view. They sell out fast though so book early. During May, June or September you'll get great prices in hotels and restaurants and there are far fewer tourists too. Most of the tourists here are Italian but they tend to arrive in August, while Dutch and German tourists prefer July. And the English speaking tourists? Well there are hardly any yet! If you are flying then the nearest airport is Lamezia Terme. 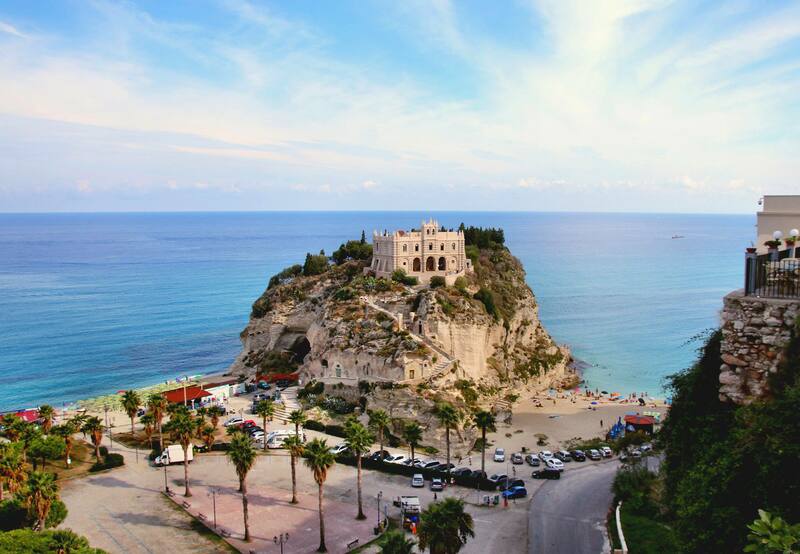 From the airport you can rent a car, or get the local bus to Lamezia station and catch the train to Tropea. 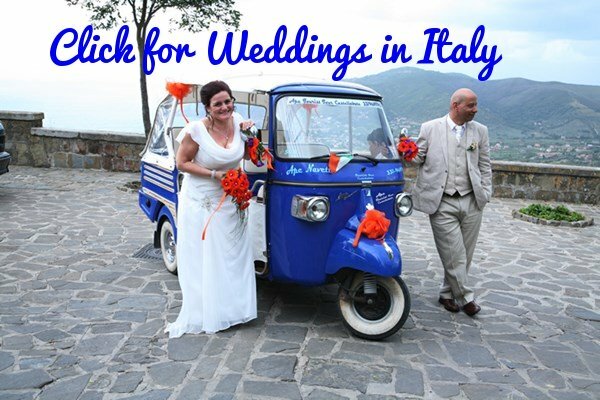 Already in Italy? Then you can either drive or come by train. 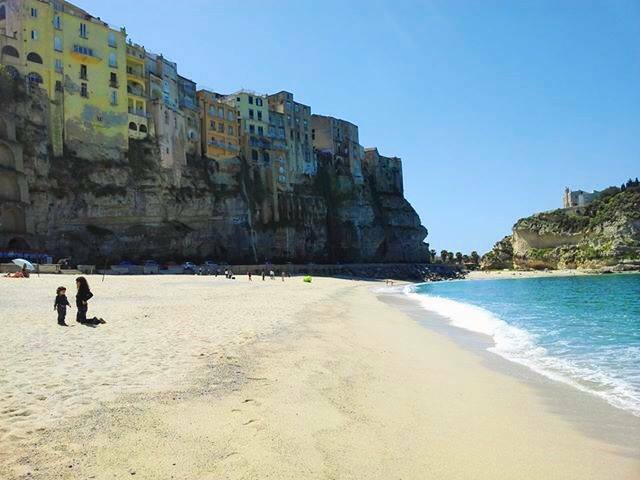 Should you plan on exploring the inland areas of Calabria you'll need a car but if you are happy sticking to the coast you can do that well enough with boats, buses and trains.